How good is the Roland TD 11 really? Is it something for beginners? Will advanced drummers thrive on it? At the end of this review, you’ll know. And you’ll be able to make an informed decision. But beware: this is not an “I can name a hundred different technical features of the Roland TD 11 review”. I’m looking at the Roland TD 11 (K and KV) from a drummer’s perspective. Rather, I evaluate the features you’ll use on a daily basis – and ignore all the rest. I don’t care if the TD 11 has a “KD-9” kick pad. I only care what it can do. If you want product descriptions, Amazon will give you loads. If you’re in for actual drumming and don’t know whether this kit will fit you, bear with me. I’ve owned the Roland TD 11 K for years, so you’re in for first-hand experience. Who’s the Roland TD 11 for? (Home) Recording: is the Roland TD 11 module any good? Sound for specialists: an electronic drum set that can be tuned? Playing live with the Roland TD 11? Your timing isn’t always on the spot? What about your family and neighbors? 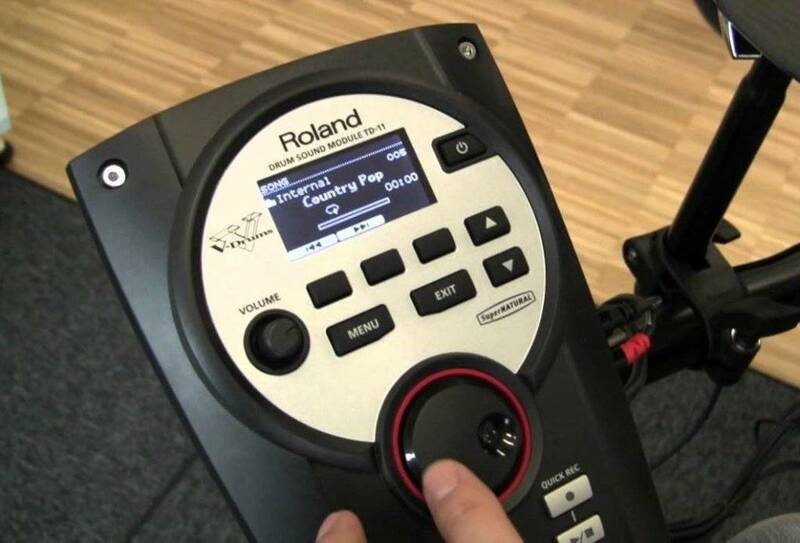 Will the Roland TD 11 grow with you? 1. Are you a beginner or an intermediate/advanced drummer? Actually this isn’t the crucial question. But it’s probably the one you’re asking yourself. The more useful question would be this: How much are you willing to spend on an electronic drum kit? If the answer is “as little as possible”, better look at really good and afforadble electronic drum sets. If you’re okay with the Roland TD 11’s price, it doesn’t matter whether you’re a beginner or an advanced drummer. Simply ask yourself question 2 and I’ll show you whether the Roland TD 11 is for you or not. 2. What do you want to use the Roland TD 11 for? Usually you’ll have one or more of three reasons: (home) recording or playing live or practicing. The main reason you’re considering the TD 11 is (home) recording? Well, then it better brings a wide range of quality sounds, so you can record anything from metal to jazz. Because preferences do change. And recording jobs even more so. The module makes the sound. And this one is intuitive for sure! The display tells you: drum set sound #1 called “real rock” is active. This is not enough for you? Well then just connect the TD 11 to your computer via MIDI cable and you’ll be able to trigger any sound in the library of your recording software. MIDI port on the left: plug in cable > plugin to your computer > record > done. Simple! What you can also hear is Roland’s “superNATURAL” sound technology. That is a fancy way of saying that your hits on the TD 11 will always sound different. Depending on how and where you hit, your sound will be louder, brighter or your reverb longer. 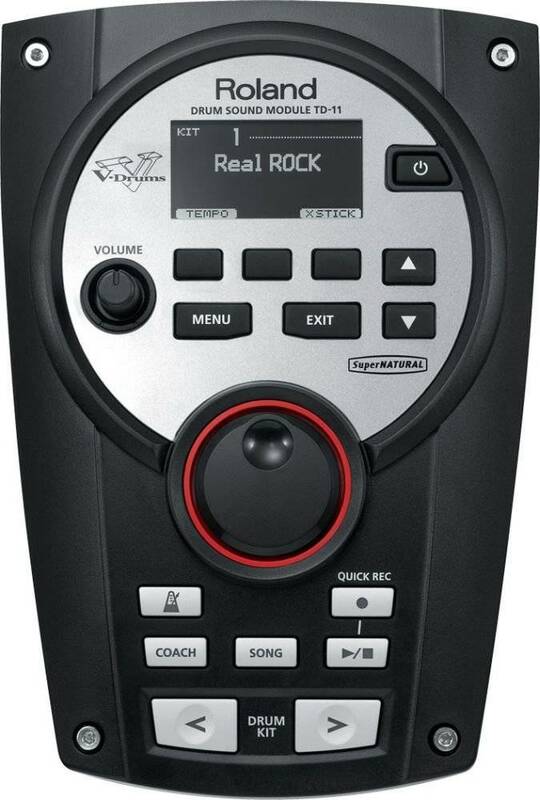 Personally, I wouldn’t be able to tell the difference between a recording of the Roland TD 11 and an acoustic drum set. Even without any modifications via recording software. This is the nitty-gritty for the real professional: you can set a range of sound parameters for every single drum/cymbal on the Roland TD 11. Tune a head, muffle a tom, reduce or increase snare buzz or change the tone color. This can all be done by pushing only three buttons. So even if you want to only record into your computer and do no editing at all, the TD 11 gives you full sound control. I don’t see a reason why you shouldn’t record with the Roland TD 11. You can do it straight out of the kit without touching any knobs on you computer. And if you know your recording software, you can produce fully professional recordings with this set. An electronic drum set for playing live should do two things: first, it should provide the sounds you need for each particular song. After all, it’s a major advantage of electronic drum sets that you can change the sound of your entire drum set with just the push of a button. Turning the wheel or using the up/down arrows changes the sound of the whole set. This way you can adapt your sound to the feel of each new song. And the 50 slots available for this are more than enough for any gig. Or at least I’ve never seen a band play that many songs in one night. Want more features for playing live? Meet the TD 11‘s ambience effects: with the push of a button you can change your digital environment from small-town bar to full-size stadium and achieve differences in reverb, echo etc. Second, your kit should look professional. Why? Because people will judge you by what you play and how you and your drum set look like. For most people in the audience (aka non-drummers), you’re looks will even outweigh your skills. Doesn’t look all too bad to me. But you have to feel comfortable with it on stage. So what do you think? 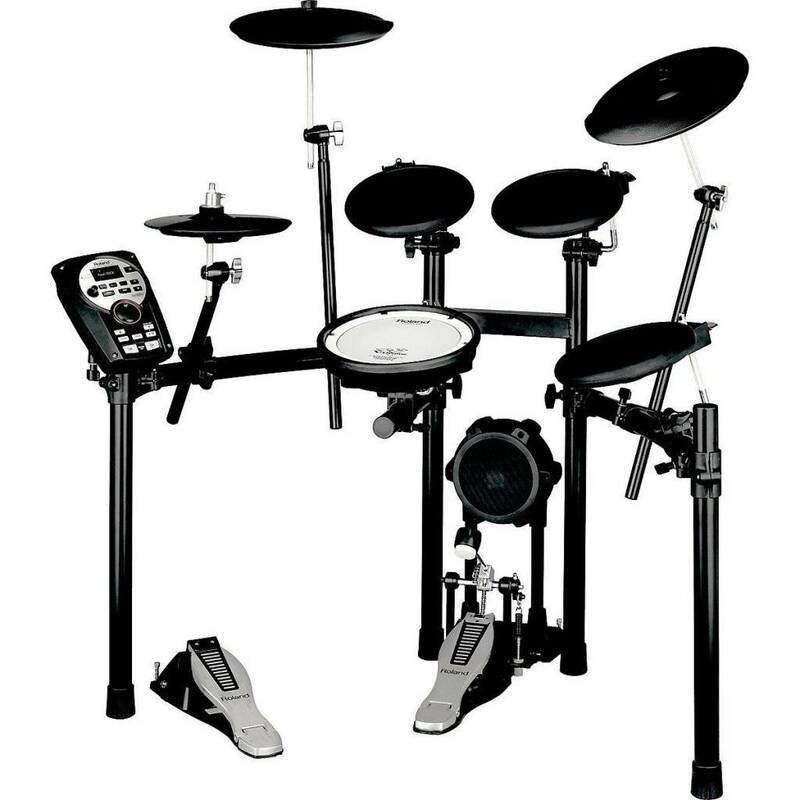 The Roland TD 11 offers enough drum set sounds to play gigs for hours on end. You can adapt your sound to the feel of each individual song and even emulate different sound environments. If you want to annoy your guitarists, ask them if they can do this too. Becoming good at drumming boils down to three things: learning the right motions / coordination, learning to keep the time and staying motivated. The TD 11 assists you in all of them. 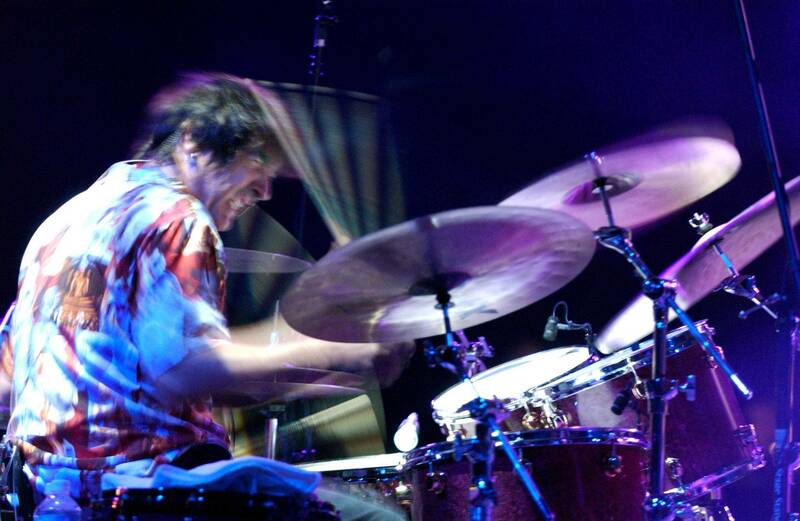 Aren’t we all into drumming because we love to play to music? Not only is this fun, but it also trains our coordination, timing, and playing style. The TD 11 makes this super easy. Just plug in your smartphone, PC or iPod via Mix In and you’ll be jamming along to the music. Well, the TD 11 comes with a built-in remedy for this too. You play along to a click which drops after a couple of bars – while you’re playing on. When the click sets back in, you’ll know whether you have to work on that last bit or not. Ever saw Usain Bolt run a race without warming up? Likewise, you’ll want to get your muscles up to speed at the beginning of your practice. The “warm up” mode will give you a click that takes you from very slow to very fast in 5 minutes. All three features are pure gold for me. With them, the otherwise dreary parts of practicing become more of a game. If you’re anything like me, you’ll use the coach mode often and with pleasure. Obviously, you can also use the click function alone at any time with just the push of a button. And you can just as easily record and listen to your drumming (with or without click). I know from my students that playing and listening objectively at the same time is just too much when you’re at the edge of what you can play (so every time you’re learning something new). The quick record function will conveniently help you separate the two processes. And if you recorded something great, you can directly export it onto a USB-Stick and show it to the world. Finally, when learning the drums, you’re building muscle memory: leg 1 does this at that time; leg 2 does that at this time. A complex web of these instructions in your brain is (almost) all that drumming takes. And this is why a practice kit should be set up in the same way your acoustic kit on stage would be. Because you won’t be able to alter motions by merely intending to do so. Your routines will conquer most of those efforts. So the TD 11 comes perfectly set up in order for you to change between this as a practice set and an acoustic one for playing on stage. 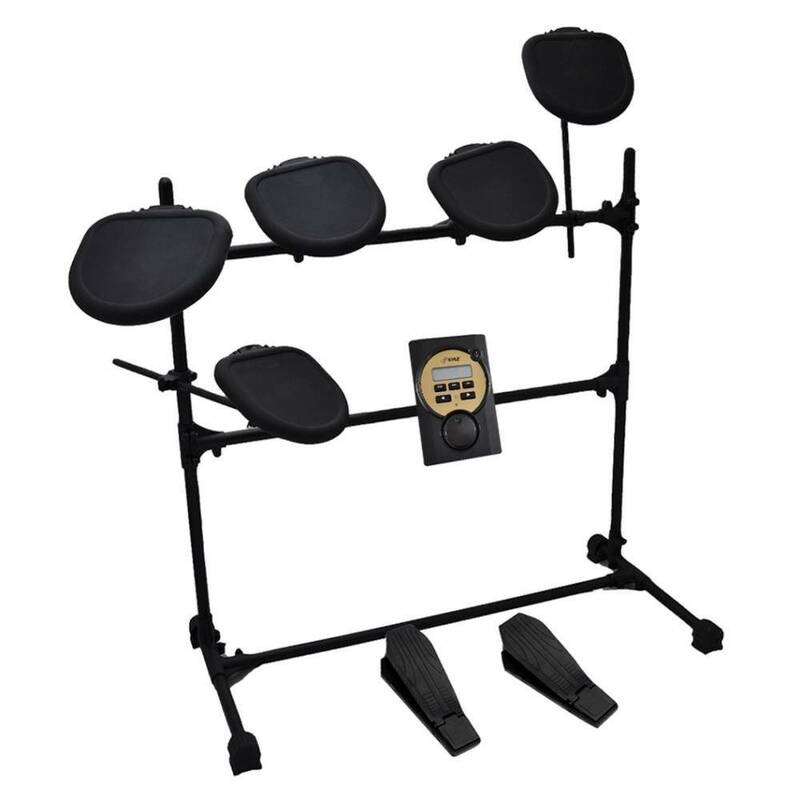 One final advantage for double bass players: unlike with many other electronic drum kits, the kick pad of both TD 11s is broad enough for your double bass pedal. The Roland TD 11 K comes with two different kinds of pads. Mesh on snare and bass drum; rubber on the toms. And that makes a difference in volume. For rubber pads you can assume peaks of 60 decibels. That’s much less noise than an acoustic set would generate (100 decibels). But it is enough to annoy your family or neighbors in an apartment. My neighbor came yelling at me and I now practice in the basement. By contrast, the mesh heads are very quiet – not louder than a normal face-to-face conversation. So it’s good the TD 11 K has mesh on snare and bass, because you’ll hit those two drums most of the time. In fact, in most grooves you’ll hit only those. With the TD 11 KV you can practice anywhere and in the middle of the night. The Roland TD 11 makes practicing both trackable and fun. This is the best practice kit I’ve reviewed so far! 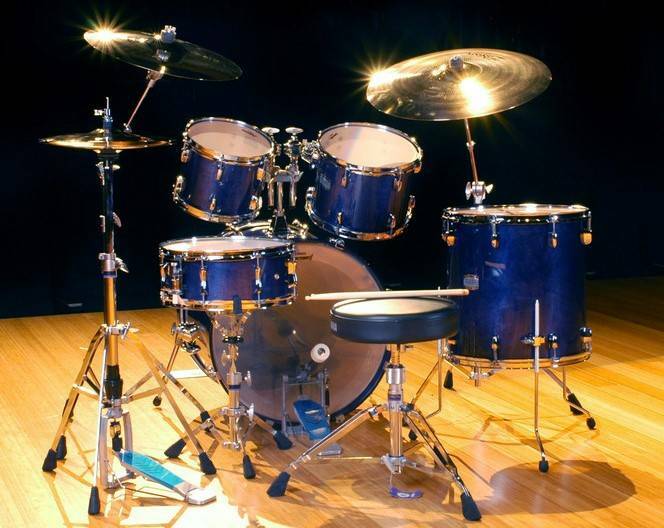 It’s helpful to think of a drum set as a plattform, not a fixed and finished product. As you grow, you’ll want your set to grow with you. With the TD 11 you can add one more cymbal or tom. Most drummers opt for a third cymbal, in this case a ride, and just plug it into the module. The “Crash Trigger” is your plug. And never mind that it says “Crash”: You can assign any sound to this trigger – from crash to ride to tom to human beatbox. After that, you can’t plug in any more, unless you buy a second module or tinker with the cables. But 4 cymbals and 5 drums will be what 90% of all drummers ever need throughout their career. The remaining 10% are advanced solo drummers or nerds. Roland is the leading manufacturer in electronic drum sets, played by drummers such as Joe Clegg (Elli Goulding) and Derrick Wright (Adele). That means, Roland kits do have their price. If you don’t want to spend that, you can check out my review of more affordable electronic drum sets. If you’re willing to spend the money though, the TD 11 K (or KV) is a serious option. It’s the best practice kit I’ve reviewed so far, because it will help you build your timing and rudiment skills, and comes with all the bells and whistles you need for playing live or for (home) recording. And that is not only my opinion. The Roland TD 11 K sells around 60 times per month on Amazon alone, and the kit scores and overall review score of 4.7 out of 5. That’s the highest score I’ve ever seen for an electronic drum set on Amazon. So if you’re okay with the price, I recommend you end your research phase. After all, drumming happens on a physical and emotional level, so go to a music store or order it from Amazon and try it out. I think you won’t be disappointed. 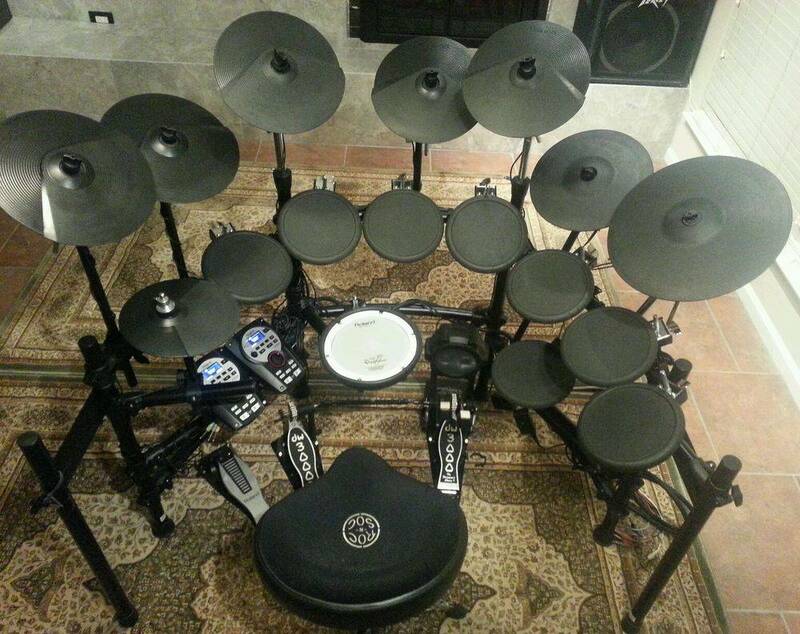 Now that you’ve read my Roland TD 11 review, I’d love to hear from you. Any questions? A story about the TD 11 to share? Let me know in the comments. I reply 100% of the time! The hi-hat is pretty bad on this thing (TD-11K). It doesnt even trigger a sound until you give it a good smack. You are unable to do ghost notes on it or accents. Have you noticed this and do you have a remedy? Or do I need to upgrade to a better hi-hat? With a kit at that price you certainly shouldn’t need to buy a new HiHat for something as basic as accents. Try this: in the menu, go to “instruments” increase the volume of the HiHat. If that doesn’t help, to “settings” > “pad settings” and up the sensitivity. Not sure if you knew this, but the back side of the hi-hat (the metal part) can also be programmed to another setting. Strange for only being a one input piece. Oh interesting! Thanks for that hint, Matt! Same issue for me with TD-1KV kit. The hihat has two surfaces, the black one is covered with rubber and the white one is more plastic. The white one is much more sensitive, it responses for the smallest hits, but the black one simply deaf if you hit it gently. I’m not happy, because you give the rythm with the hihat and if you always need to strongly hit the hihat, then its quite tiring. I can only adjust the sensitivity in the menu, but it doesnt really help a lot. How durable is the set, btw? Especially the cymbals. You’re talking about the Roland TD-1KV, not the TD-11, right? If so, this article might help you solve the sensitivity issue. As for your question concerning the Roland TD-1KV: I think it’s very durable. I’ve played this kit for about 6 years and didn’t have to replace a single part. I have this kit and love it. I’ve added both an extra crash and Tom using a splitter cable and removing a rim shot, from one tom. Bought a larger snare, and upgraded my kick drum to a bigger mesh kick. You can also change things like i did, making the edge of my ride into a 3rd crash while leaving the bell and bow set as a ride. You can also upgrade the hi-hat to a more realistic version, that actually opens and closes. And also: the back side of the hi-hat (the metal part) can also be programmed to another setting. Strange for only being a one input piece. Thanks a lot for sharing, Matt! I’m happy the kit lives up to your expectations. All the best for your drumming! I’m considering buying this kit within the next few months but I’ve noticed that of all the Roland drum brains out there the TD-11 has been in production the longest and I’m wondering if they are planning on replacing it soon, and if so should I wait? I could not tell you that as Roland (like all the drum companies) wouldn’t give upcoming products away to the public before their official marketing cycle started. Yet, there are a few other Roland kits (and modules) – for example the TD-4 and the TD-30 – which came out the same year as the Roland TD-11 (2012). And I’ve seen no newer version for any of them. 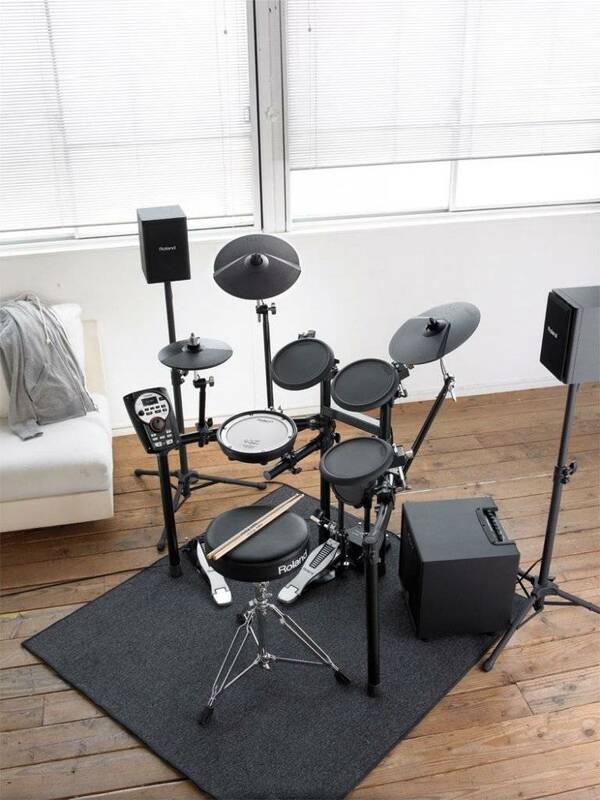 Roland’s competitor Alesis even have drum sets on the market that were released in 2001 – for example the Alesis DM10 – and people are still very happy playing them. Hmm, I don’t think you can officially buy the TD-8 brain any more, so I wouldn’t recommend spending money on that as there would be no support in the form of updates etc. available. I’d go straight for the TD-11 module. I see. Yet, that wouldn’t change my opinion on that question. The TD-8 still is an older module, so I don’t see why you would prefer it over the TD-11 module which is tailored to the workings of the TD-11K kit. Hey man, great review. I’m actually planning to buy a TD-1KPX and I came across this. I would like to know your thoughts about the practically to buy which model in terms of flexibility andupgradeability. Well, in my opinion the Roland TD-1K is overpriced, because I wouldn’t dare take a drum kit like this up on stage or into the studio – if only for it’s design (which I find very toy-like). So you’d pay quite a lot for a practice kit here. That said, the Roland TD-1K – as all Roland models – is very good in terms of sound quality. But that’s about it to my mind. I’d recommend you look into the Alesis Nitro as it is: cheaper, better-looking (I’ve used it as a drum set on stage with full confidence), has more sounds. You can check out my full-blown review of it here – or a comparison to other electronic kits here. First off, I bought the Roland TD-11K and I’m really satisfied with it. Great sound and great range of capabilities in terms of sound and settings! Now my question: What’s the best way to separate sounds for a live mix? At the moment I pan kick to the left and the rest to the right, but that leaves limited control over the snare at the desk without screwing up toms and cymbals ‭etc. A third out would be nice. Thought maybe use kick panned left, left output and snare panned right, right output and rest of kit centered out the headphone jack and frig with the eq at the desk to get balance. That’s pretty much my only disappointment about it as far as it being a gigging kit goes. Well, for multiple outputs you would have to look at more expensive kits. There isn’t really a workaround for this (at least that I know of), so it’s either saving on money or paying more for more outputs – like with this kit. I guess this is because most people can gig fine without mutiple outputs, but of course I understand that from a certain level upwards you do need them. Sorry that I can’t give a quick fix here! If you want multiple outputs, use a daw with a vst. Like ez drummer or superior. You can buss the outputs into multiples, I do this with perfect results. Awesome, thanks for sharing this, Jon! Thanks for your question! You can absolutely use any of these headphones for quiet practice. As for moving this kit, I don’t know what you consider “easy” but setting it up and breaking it down is straightforward and you’ll be able to do this in about 10 minutes after a few runs. As for the size, the Roland TD-11 comes in a box sized 57 x 39 x 32 inches – so that’s about as small as you can get I guess. Really nice. But one question? Does it come with double bass pedals with the kd-9? If not then I might have to buy one. I like to use double bass from time to time. Check out my take on the best budget bass drum pedals on the market. Perhaps it can find you a good pedal for little $. Today at music shop i had huge fight with myself on finance td 11 or td 20 but then i thought i will be using SD 2.0 OR EZ drummer as my main bank sounds plus i am just a starter and invest on having my first own home studio with my brother, so wouldnt cutting extra prices on high end kits when you have stuffs to buy and plus would you not personally think td 11 kv is not a bad kit after all it is a very intermediate kit and plus if you have a band and just started in your uni time or maybe tight on budget you may find yourself funny enough with TD 11 kv rather than td 25 it sure does sound nice but with the extra money you will be paying, you could just get used instruments or machines to get you started. right ? tell me if you disagree or agree with me would like to hear your side of story as well ? and yes a recommendation would also be nice. Did I understand correctly that you’ll be using Superior Drummer or EZ Drummer as your sounds? In that case, I’d say the Roland TD-25 would be sort of wasted money, because its strength lies in being able to create and fine-tune custom sounds inside the module. Since you’d be able to do that in your virtual sound library, though, the Roland TD-11 KV with its solid hardware and MIDI connection seems like the right thing for me in your case. Hi there. Great review thanks. I am going to buy this kit but am torn between all mesh or not. I used to practice on my acoustic kit with pads on. Would the rubbers be louder than this? You mean you practiced with mute pads? In any case, mesh pads would be about as loud as hitting a sturdy cushion with a stick while rubber pads would be like hitting the hardcover of a book with a stick. Hi there, my bass drum of TD-11k sounds weaker when I hit it with pedal. Do you know any solution for this problem? Most likely, you’ll have to adjust your kick pad’s sensitivity settings like explained here (don’t worry, it’s easy!). Great Review. I bought this Kit for my then 8 yr old son he is now 11 and loves it. The only thing I hate is the cymbals sound like hitting a book but when I hear this played online it doesn’t. Are we missing something in the tuning? And shouldn’t his music teacher hear this? He doesn’t play edrums but does play them at the school he teaches at. Thanks in advance. Thanks for your question! I’m happy your son likes the kit! The cymbal certainly shouldn’t sound that way. Is this the case with both cymbals? If not, can you try swaping them and see if the issue persists. If not, it could possibly be due to the plug, but we have to narrow things down first. Hi Yannick, thank you for your fantastic review, I currently have a td10 that I bought really cheaply & really like it, I have however just bought a td11 (waiting for delivery) so will be selling one of them, which one should I keep hold of? Thanks very much. While the TD10 is a fantastic kit (I’ve played it for years and years) I would now go with the TD11, since it has more sounds and training functions and you’ll also get the latest firmware updates. Thanks for this indepth look to the roland td! do you use a mat with it? Or are the rubber footing sufficient to keep the kit in place? Thanks for your quesion. I’ve used both with and without a mat and both worked out well. Dear Yannick, I’m from Chile, I loved you post about the drum Roland 11 kd. Well , in Chile the price it’s U$ 1500, so it’s very expensive, but we don’t have any chance to get this kit in other price. Can you tell me if I put the money in a very good kit? My daughter , she has 6 years, love the drum yesterday, so I wanna bout this, but I’m not sure…please, I read again and again the post, but I need a concrete answer, if you can, and if you have the money, you buy this drum kit???. PD the model in Chile have only the snare drum white, all of the rest Tom are black pads, it’s correct that?? I it’s a cheap version to us down under?? Yes, I can wholeheartedly recommend this kit (for the reasons you’ve read in the article). Yet, the price you mentioned is fairly steep – in the US you’d get the Roland TD-11KV for slightly less than that – and that kit has mesh heads all around (not only on the snare). So if this is meant for your daughter, I suggest you have a look at the Alesis Nitro or Alesis Forge in this comparison review. Thanks a lot, I already bought it…..tomorrow I will put in the room, my daughter it’s so happy thanks again and see you soon …. That sounds amazing. Hope you and your daugther will like it, Manuel! Im thinking about buying a 3-4 months used TD 11KV . Now im not actually sure is how long its been used but look new. #The kick pad has Pedal hit spots. #The market price is 140 and the drums im checking out its asking price is 70K . Isn’t it too less for a 2-3 months used 11KV ? I Havent checked it yet , going tomorrow to give a check. Should i take it ? What things should I must notice while im gonna check? In what currency are we talking? In the US at least, the market price of the Roland TD-11KV is much higher than 140 USD. In any case, half the price for a kit that’s only 2-3 months old would make me slightly suspicious unless the seller can give a good reason. Have you asked him / her why the price is so low? I have a td-11 kv kit that i have been playing, but the kit is old (belongs to church) and there are a few things that frustrate me. One thing is the cloth- fabric ish kick pad. I get no rebound and I find it difficult to play with it. Should I upgrade to a mesh kick pad like those other Roland models? Also, I have to hold the power button a long time to get the module on. Yet it turns off fine, so I’m thinking it might be the power adapter getting old. What do you think? And is it possible to import new drum sounds from a computer. I don’t have that much experience with drums and electronic drums seem a bit complicated at times. Hardest question first: what about your power supply? That’s very hard to diagnose for me from afar. I’d first try checking your firmware version and, if outdated, updating it to make sure the software is working fine. If that doesn’t help, yes, I’d try a new power supply or contact Roland support. As for the kick pad: you sure could get yourself this mesh kick pad, but considering the cost-benefit ratio, it might pay off better to inquire into your foot technique. You’ll find a person with similar problems and their cause in foot technique instead of kick pad here. Finally, adding drums from a computer / USB device is easy. Just follow this tutorial. Thanks. Another question I have is how can I adjust the spring tension on my dw 9000 kick pedal. My understanding is to loosen the round washer/nut, push the spring down through the hole and try to hold it there as I tighten the round washer/nut in a tighter position, but the spring is too hard to push down and hold. What am I doing wrong? That sounds about right, but please make sure you followed the instructions here to be certain. In case it still doesn’t work I wouldn’t know better than to buy a replacement spring for the DW9000. Hi Yannick, thank you very much from your very valuable reviews! I’ve played acoustic drums (albeit very amateurly) for about ten years, and I’m evaluating buying an electronic kit because I’m moving to a different (and small) apartment for work. I don’t have a generous budget, I’m not a heavy hitter, and I’ve never played electronic drums, but just documented myself on YouTube or reviews like yours. – an “unbranded” kit from “the famous German e-shop” for 599€, which as far as I can see compares with the DM10 MKII Pro (same manufacturer? same pads and module to my eyes?) 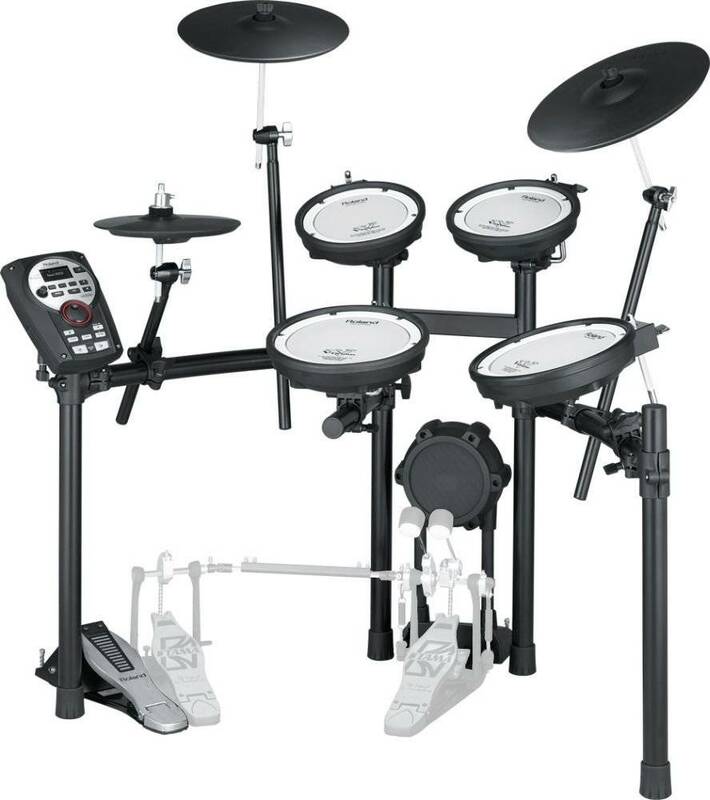 https://www.thomann.de/it/millenium_mps_850_e_drum_set.htm too good to be true? Do you have some recommendations? I’m very concerned with loudness, e.g. the bass drum of the TD-11, the cymbal hits. Thanks for your question. Apparently, you’ve done very thorough research – kudos! So since you’re concerned about the noise, I’d only consider kits with mesh heads all around. Given that, my recommendation would have been the Alesis Nitro mesh, but since you don’t like it I would play it out between the Alesis Surge and the Millennium. The latter is not available in the US and I haven’t tested it, but it looks promising. Great review. I have 3 questions. How durable is the snare? I’m a tad heavy on the rim shots. My Yamaha 502 snare cracked out after 1 year. An how easy is it to hook up to PC to use software like ezdrummer and others? Also is there an android or IOS app for the module? There’s no app for the Roland TD-11 that I know of. I know Yamaha does this for their kits, but I’ve always thought that the module is there to control the kit, so why have an app. Did you enjoy having one? What did you use it for? As for the snare, I don’t think there is a significant difference in terms of quality and durability between the Yamaha 502 and the Roland TD-11 snare. It’s unusual though that it should give up the ghost after only a year – even for a heavy hitter. From my experience this is definitely not normal, and perhaps your individual snare wasn’t quality controlled that well. In short, the Roland TD-11 should be fully equipped to handle heavy hitting – but coming from your experience it might make sense to purchase an extended warranty to be doubly sure. 1. How much do you think the whole kit weights, without the boxes it came in? I’ve seen reports around the 65lb mark (including on Roland’s FAQ), but I’m assuming that’s the weight with the box and foam padding, etc. 2. Do you think the whole kit could fit inside a large travel suitcase? I’ve seen it has some long rods for the stand, but I couldn’t quite get their length. I don’t live in the US, but I’m going there in about a week, so I’m considering the opportunity to buy one. However, I do have plane luggage restrictions where I can only check in 2 pieces of up to 50lbs each. I can only talk about the sizes and weights as purchased from Amazon, but I guess they should be somewhat similar across the board. There, the boxed kit weighs around 70 pounds the box should measure c. 34 x 34 x 34 inches. Thanks for the quick answer, Yannick! I’d gladly buy it from your link, but it seems that the kit is too big/heavy for me to bring in the plane 🙁 Well, that’s life, haha. Can’t you order the kit in your country? Oh, I see, that’s expensive. How about eBay? eBay doesn’t work very well in here (Brazil), I think it’s mostly a portuguese version of the US website, but no (or very little) local products, sadly. Sounds like a plan. I hope it works out. I already own a TD-11, It was very useful for me.My bad luck, the actuator of fd-8 became hard to harder.So,I was trying to replace the same.But at Kolkata this part are not available.I brought the actuator from Mumbai. In between this long period approximately 11 to 12 months I didn’t play that kit. In this period I managed my shows by an acquistic drum.I completely forgot the settings of hi-hat.Please tell me how can I adjust/or what should the adjustment of scan, re-trigger,e.t.c. Are you saying you don’t know how to set the HiHat pedal volume? That’s explained here. First of all thanks for your excellent work! I’ve been a musician since a kid (keys) and always wanted to play a little bit of drums, nothing special just more for fun. The time as come to buy a roland electronic kit and I have several nice used offers but just can’t decide… can you please be so kind to help me? I’m really undecise since even though I believe that the TD4 is more that enough for my needs, the price diferences are attractive… but is the PADs difference worth it? And now… what to do!? Help me decide please! You seem to have done a lot of research there. Of all offers, I’d go for the Roland TD-11KV. The TD-12 and TD-9 would be too outdated for my taste and the price difference betweent the TD-4 and TD-11 isn’t big enough for me to justify not going for the TD-11KV. That one is much more professional than the TD-4 and will help transition to an acoustic kit much easier in case you’d want to later on. I forgot to tell that the TD-11KV offer includes sticks and a small combo amplifier! And meanwhile I believe that the deal will be closed for 500€! Só it means that the PD-6/8X and PD-85/105BK difference doesn’t worth the effort right? Some people say that the 6” pads are too small and also de 8” for snare. Do you think the same? Perhaps later i can move one of the 8” do TOM4 and buy a PD-100X for snare. What do you think? So the módulo+bass pad+ride/crash cymbal improovement from TD4 to TD11 is a big step, right? With an amplifier included in the deal, I think that’s an even more clear winner for me. And the TD-11KV does have 8″ pads, so you’re all good there. Thanks once more for your help and kindness. Regarding the pads perhaps you misunderstood me. I was saying that people say that the 6” pads are too small for toms and also the 8” too small for snare. Do you think the same? I can get a new TD-17KV with pedal and stool for 1000€ (500€ more than the TD-11KV). Do you think it worths the effort? I promise no to bother more! You’re not bothering at all. These are valid questions! I don’t think 6″ and 8″ are too small, but this really depends on whether you find your own drumming to be all over the place or not. If you opt for the TD-17KV I think it shouldn’t be because of the pads alone. I just bought TD-11K for my 11-year-old son. he is loving every minute !! I would like to add a crash cymbal. what do you recommend and how should I connect it to the module and mount it on the frame? Great, I’m happy your son enjoys the kit! You can add this crash cymbal here – it’s the exact same one that you already have mounted on your kit now. And it comes with a wing nut – but you will also need to buy a stand. 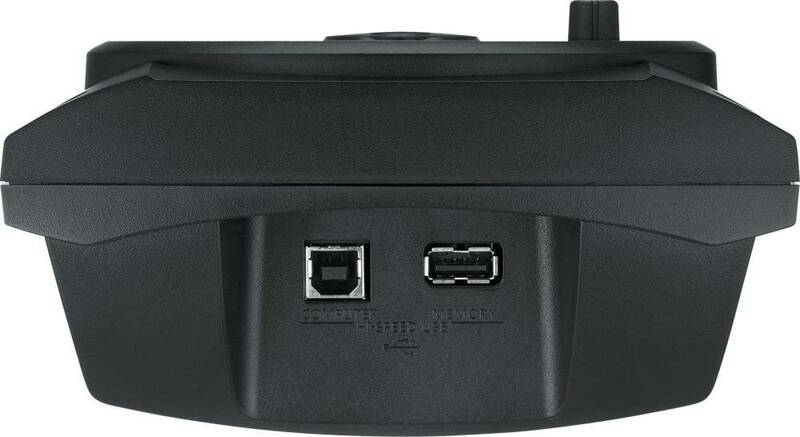 To connect it to the module you simply plug the cable (included with the pad) into the “Crash 2 Trigger In” port at the back of the module. Is it better (or even possible) to add a better cymbal with 3 triggers and make it the ride cymbal? That is possible – through this cymbal pad – but more expensive of course, and at this price point I wonder if it’s not too expensive relative to the kit price and the function you’re adding (which is “only” a bell sound). Thanks for your question and great you went for the Roland TD-11! To connect the TD-11 to an amplifier, you need to plug a cable into the “output” at the back of your module and into the “input” plug at the back of your amp. The cable I’ve linked to is the most common one, but please check your plugs before buying it. Thanks, Tim. I appreciate it!